The Sixth Form College, Solihull is not just shouting about A level and BTEC provision at Open Evening on Thursday 10 November; specialist enrichments are also on the agenda, as the College reveals unique opportunities available nowhere else! The College will be open from 5.00pm – 8.00pm on Thursday 10 November, with a last entry time of 7.30pm. All prospective students are asked to come accompanied by a parent or other adult. 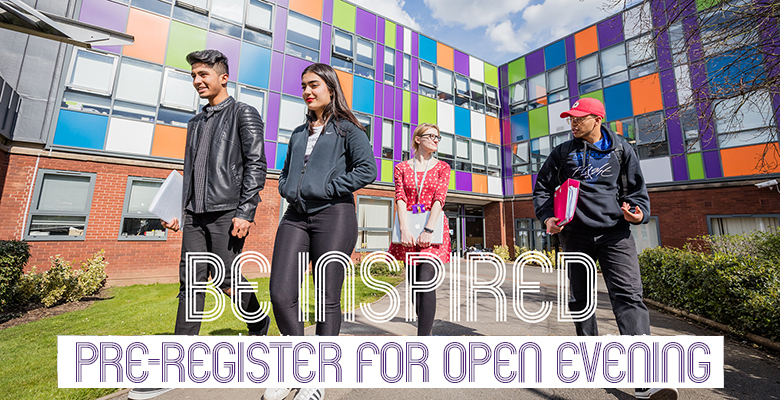 Teachers and current students will be on hand to tell prospective students and parents about the courses on offer, as well as the support the College offers for particular careers by way of specialist academies. These academies are enrichment options open to students alongside their A level or BTEC study. They are groups that students can apply to join that boost particular career paths. They include an Engineering Academy, Law Academy, Pre-Medical School, Wider Medical Academy, Psychology Research School, Shakespeare Academy and Teaching Academy, among other options. They each have links to Higher Education and offer exciting opportunities to students. “Our specialist academies give students with particular career ambitions the chance to take part in unique activities, visits to universities and mentoring from Higher Education. They are unique to The Sixth Form College, Solihull and mean that our students will not only get the opportunity to take part in exciting activities geared towards something they are really interested in, they will also get expert support in making applications to university. Visitors can find out more about these academies at Open Evening. In addition, all curriculum areas will be staffed at Open Evening, enabling visitors to meet teachers and students on all our courses. Specialist staff in Careers, Additional Learning Support and Academic Coaching will also be available to tell students and parents about the support offered to students during their time at College. Representatives from Aston, Leicester and Southampton Universities will also be present for those looking for advice on what courses to take with a Higher Education ambition in mind. Further information about these academies is available. Pre-registration for Open Day is now open.